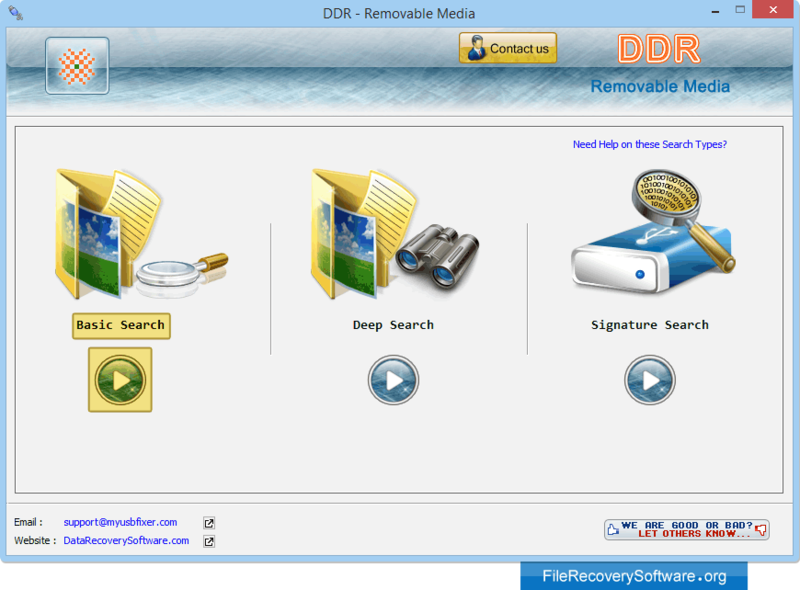 Removable media file recovery software for all the users who have lost their precious data including photographs, business documents, favorite music, audio video shoots etc from USB removable media devices. Utility recover accidentally lost or deleted files and folders even when data has been missed or corrupted due to common data loss instances including: Accidental file deletion, Formatted drive, Logically crashed USB hard drive media, Human fault or any other kind of logical error. 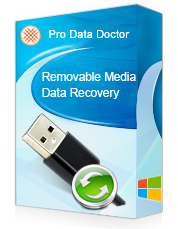 Supports easy recovery of data even when deleted using (Shift+Del) keys while accessing your media via computer PC. Retrieval of deleted or missing files and folders from a variety of removable mass storage media Pen drive (commonly known as Thumb drive, Handy drive, Jump stick, Flash memory, Memory stick, USB flash devices, USB drive etc names), Mp3 player,External mobile phone memory etc. Recover Excel files xls and directories, songs, popular music, audio, video data etc saved in major files format including: jpg, jpeg, gif, mov, wav, avi, mpeg, midi, doc, txt, html, ppt, xml etc. 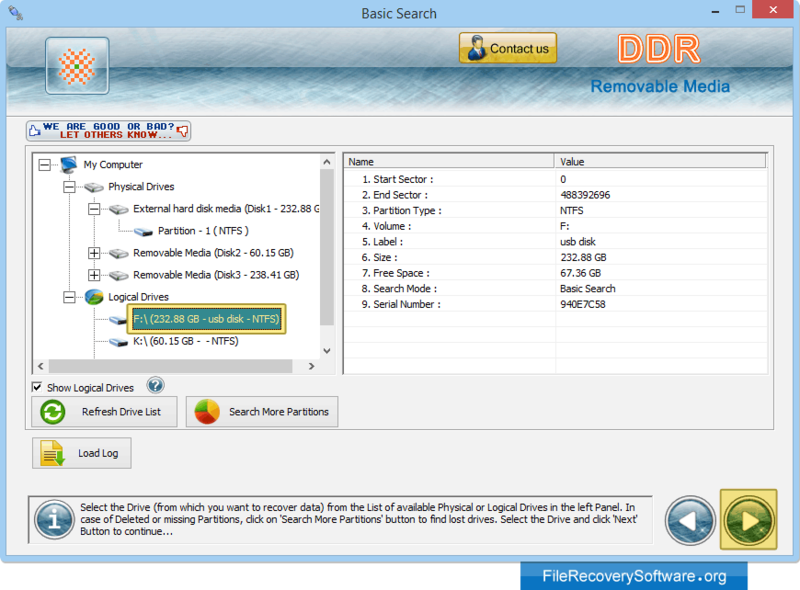 Easy to use and compatible tool to support file recovery from 512 MB, 1 GB, 2 GB, 4 GB and even higher USB storage capacity drives. Software get back lost data from all major branded USB supported media including Kingston, Transcend, Sony, Samsung, Toshiba, SanDisk, Hitachi, Super Talent, Super Flash, Jet flash and other popular manufacturers. 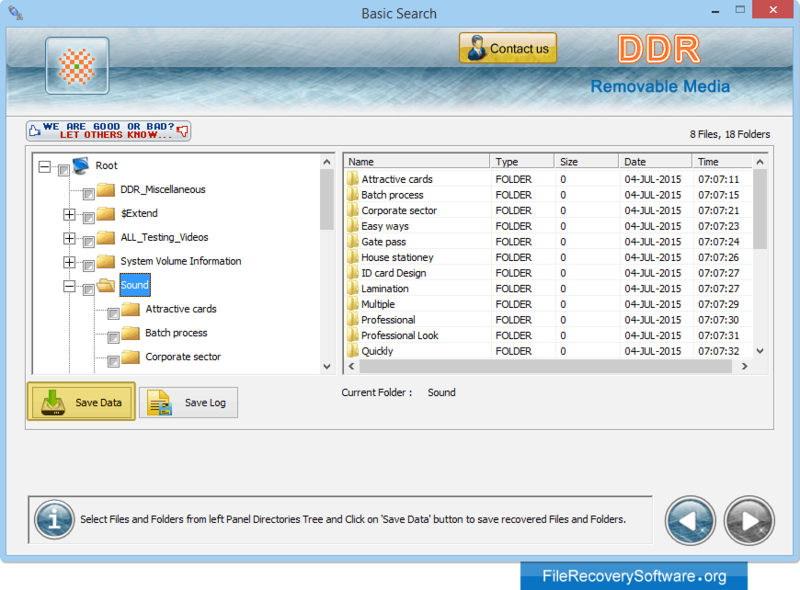 Select any one searching mode to recover deleted or lost data files/folders. Select drive or disk partition from the list of physical or logical drives. In case of missing partitions, click on " Search More Partitions" button. Data files are recovered now. Click on "Save Data" button to save recovered Files.